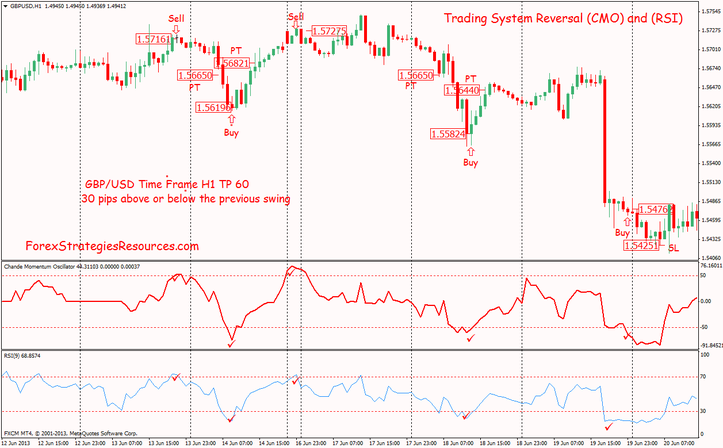 This is another trading system, but is free free for all !!!! nice constant, positive equity curve. movement over the period. 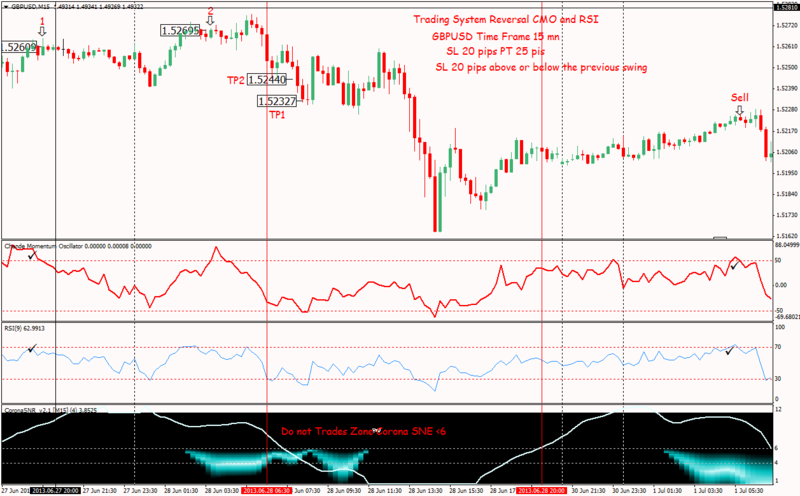 It is similar to other momentum indicators such as the Relative Strength Index and the Stochastic Oscillator as it is range bounded (+100 and -100). 2. Chande momentum oscillator must be below -50. 2. Chande momentum oscillator must be below 50. 15 min time frame 20 pips above or below the previous swing. Profit Target: Depends by Currency pairs and by the volatility. This Trading System not Work good in Trending market and i have add an indicator filter for range market. The Indicator is Corona SNR , Trades with the previous same conditions but only when Corona SNR indicator >6. In the picture belowTrading System Reversal Chande Momentum Oscillator (CMO) and Relative Strength Index indicator (RSI) in action. 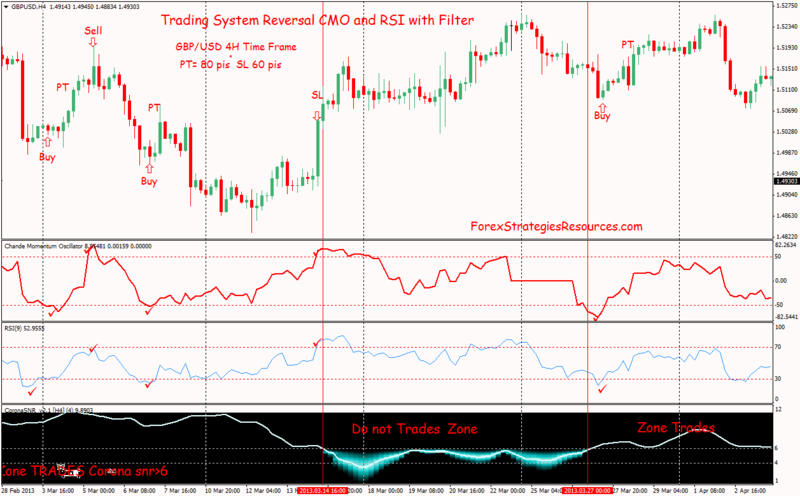 In the pictures belowTrading System Reversal Chande Momentum Oscillator (CMO) and Relative Strength Index indicator (RSI) with filter in action. In the pictures below Trading System Reversal Chande Momentum Oscillator (CMO) and Relative Strength Index indicator (RSI) with filter in action. Change the CMO period to 9. It works better. Have you an EA for this system?